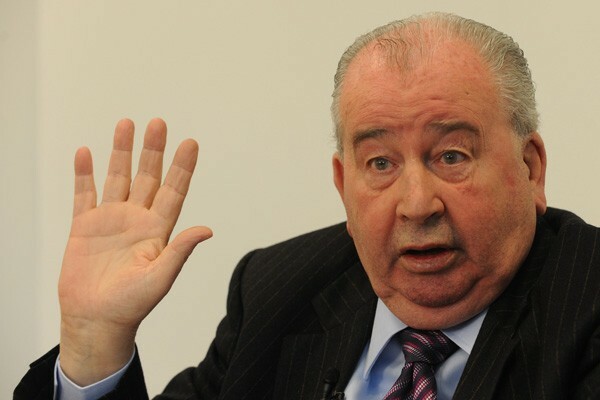 …And Julio Grondona has spoken. As well as defending himself against Diego Maradona’s accusations of lying (‘Time will tell whether I lied’), he’s also insisted he has no problem with Carlos Tevez’s statements of last week either. He claims he’d have loved Maradona to continue as Argentina manager, has said that Sergio Batista has every chance of being the great man’s permanent replacement, and even says nothing will stand in Carlos Bianchi’s path to take the job if that’s what the AFA directors vote for in November. So, if that’s the result of the vote you’ll step down will you, Don Julio? Having at least suggested, then, that he won’t make the mistake of forcing through his own personal choice against the wishes of the board, as he did when Maradona took charge, Grondona went on to give Diego his support again. ‘Diego hasn’t had the door closed behind him as far as the selección is concerned, he has rights like everyone does, but also some obligations.’ And with respect to the lying accusation? ‘I said to Diego that I wanted him to continue, without saying anything about his assistants, which was a subject that had to be evaluated later on… Time will tell whether I lied or not. I’ve been in charge for 31 years,’ he reminded those who are brain dead enough to have forgotten, before triumphantly announcing, ‘if I’d lied many times, or made mistakes, I wouldn’t be talking to you know.’ Because high-up figures in continental associations like CONMEBOL, and indeed FIFA Vice-Presidents, only ever get where they are by virtue of honesty, hard work and competence. Don’t they? On a similar note, he talked briefly about Daniel Vila, the TV executive and owner of Independiente Rivadavia, who plans on running against Grondona for the presidency of the AFA next year. ‘I think it’s very good that Daniel wants to run for the post. Everyone wants to get to the important positions in life, they talk about it very well but as for knowledge, they know very little.’ Well, that’s a nice clear statement.